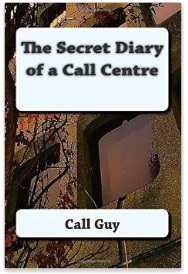 Well, it was a long time in coming, but in December 2014 The Secret Diary of a Call Centre finally arrived in book form. To be honest, it was something I had wanted to do for a while, gather together the very best of the blog – putting it into a much more coherent flowing form – and write a whole load of new material – like the story of my first ever experience working in a call centre. The only problem was finding the time, so I decided to announce my intentions earlier in the year. Once these were made public I had no excuse – though the original deadline I had set was October. So far I am glad to say the book seems to have been a success. It is available from Amazon as a traditional print version, or as an e-book.